Sony has claimed that more than 4.2 million PS4 consoles were sold in 2013, significantly out-selling the 3 million Xbox Ones that Microsoft shifted. 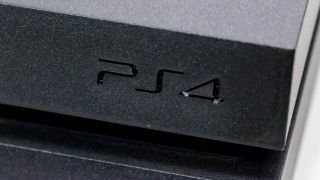 Sony, speaking at CES 2014, stated that 4.2 million consoles had been sold as of December 28, following on from Microsoft's numbers 24 hours earlier. Both pre-sales and Christmas sales had suggested that PS4 was in the lead and that has proven to be true if the respective figures from the companies are accurate. In truth, both Sony and Microsoft are likely pleased with the early impact of their consoles, especially given the relative lack of big name next-gen titles for their wares. With massive titles like Watchdogs and Titanfall on the horizon, both will expect even sales to go from good to better in the early part of 2014. Of course that means that it's way too early to make a definitive claim of who won the console war, but after taking the early PR skirmishes, Sony can now add the opening launch battle to its list of gamer achievements. What else is shaking at CES 2014?